by Jonathan Levinson Follow OPB Oct. 3, 2018 7:45 a.m.
It’s week nine of basic police training at the Department of Public Safety Standards and Training (DPSST) in Salem, Oregon. 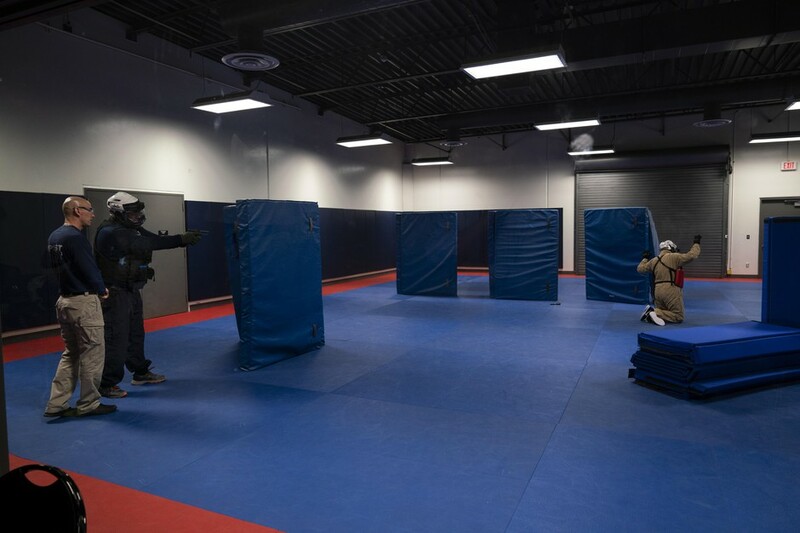 A student police officer dressed in a protective mask and armed with a blue handgun that shoots plastic pellets is walking slowly into a large gymnasium where a fellow student, a role player, is waiting for him. The role player is a trespasser. And in the scenario, it is the second time the officer has been called to this location to remove the individual. The scenario escalates and the officer wrestles the trespasser to the ground. Trainees go through live fire scenarios at the Department of Public Safety Standards and Training’s (DPSST) basic police course on Sept. 14, 2018, in Salem, Oregon. The basic police course is mandatory for all police officers in the state of Oregon. in front of the Cheerful Tortoise bar early in the morning of June 29, 2018. Washington held a concealed carry permit and in the chaos of the fight, a handgun he’d been carrying fell to the sidewalk. Video of the incident is shaky, but the officers clearly thought Washington picked the weapon back up. They yelled at him to drop it. Then, they shot him. The training police officers receive for these types of situations only goes so far. 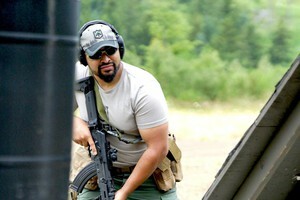 Of the 640-hour basic police course in Oregon, 36 hours are spent on the use of force. Those hours include role-playing scenarios like the one above, intended to induce stress similar to what officers may feel in real life. Scott Willadsen, the director of use of force training at the basic police course, said that happens two ways. First, the cadets don’t know what is going to happen in a given scenario. That unpredictability adds stress. 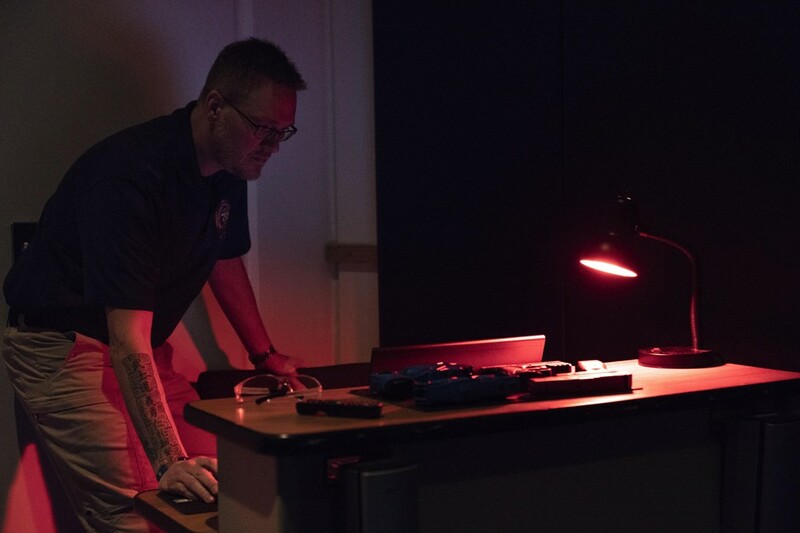 Scott Willadsen runs a computer simulation at the Department of Public Safety Standards and Training (DPSST) on Sept. 14, 2018, in Salem, Oregon. 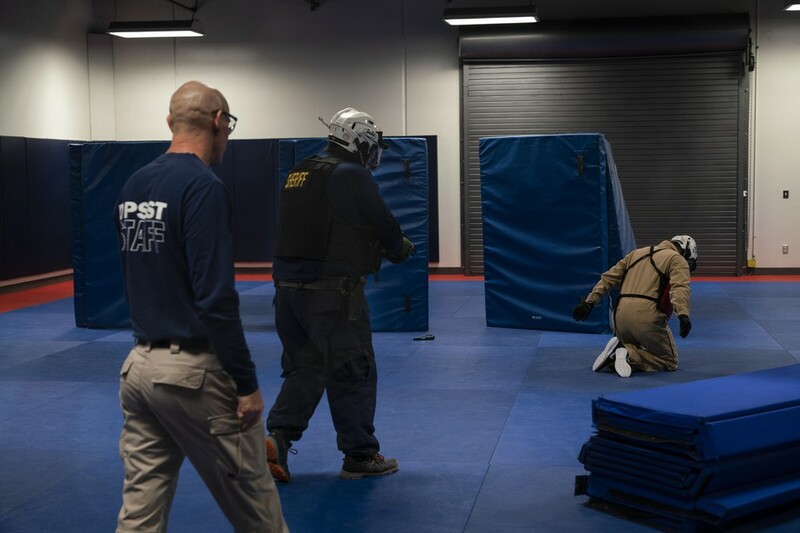 Willadsen runs use of force training at DPSST’s basic police course, a mandatory school for all police officers in the state. Officer Ray Kerridge searches where she and the Gang Enforcement Team found three individuals with loaded guns in front of a high school homecoming football game in Northeast Portland on Sept. 21, 2018, in Portland, Oregon. Asked if Oregon’s open carry law makes his job more difficult, he said he didn’t think so. Like Willadsen, he’s more concerned with an individual’s demeanor and intent. But after a few hours riding with Wilbon and his team, a more complex picture emerged. If, during a 911 call, a dispatcher knows there is a gun in the home, the dispatcher will request the owner put the gun away before officers arrive. Dispatchers make the request in an attempt to reduce the possibility of anybody being shot. 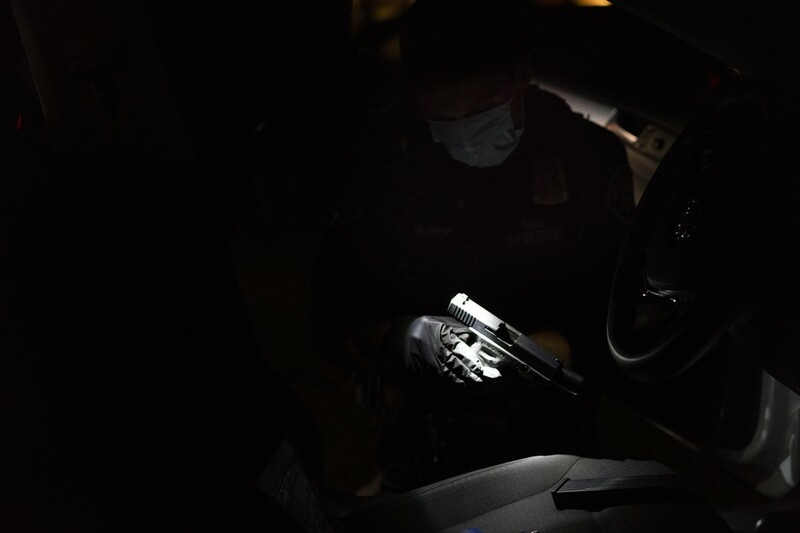 Officer Patrick Murphy swabs a handgun which he and the Gang Enforcement Team found in a car with three individuals in front of a high school homecoming football game in Northeast Portland on Sept. 21, 2018, in Portland, Oregon. Wilbon said guns introduce a lethal element to any situation. When situations do escalate, so does adrenaline. And managing adrenaline is a skill that comes with practice. “You can’t substitute experience and time,” Wilbon said. McKenzie and Dewey were both still relatively new police officers, and they were called to a situation even a veteran cop could find challenging. From the video, it’s not clear that Jason Washington had any intention of shooting someone. Maybe a more experienced officer would have controlled their adrenaline better. Maybe they would have better assessed Washington’s intentions. Any number of things may have changed if a more experienced officer had responded that night.
. PPB says 27-year-old Patrick Kimmons was carrying a gun before police shot him.